It’s hard to know exactly what piece of equipment is right for your business needs, or what type of parts go with your specific equipment, without a little help. With hundreds of different refrigeration units, fryers, and ice machines, the choices can be daunting, but who would Tundra be if we didn’t help you along the way? Let’s get this buying experience started with guides that help you learn more about commercial equipment, the parts that go with that equipment, and how to DIY. Of course, you can always call us or Live Chat with us to learn more. Happy learning! When looking to shop for new refrigeration units for your home, it’s hard to know which one is perfect for your needs. A commercial deep fryer cooks foods extremely efficiently and quickly, and are often used in restaurants and commercial kitchens for appetizers and specific entrees. When shopping for new equipment, it can be overwhelming to weed through the differences from one piece to the next, but the good news is that when it comes to shopping for new Globe mixers, we can help make that decision a little easier. Learn more about commercial microwaves including the differences between push button and dial microwaves, purchasing considerations and more. Learn about different types of commercial toasters like pop-up, conveyor, and bagel toasters and what you should consider before purchasing one for your restaurant. It can chop, dice, shred and knead dough, saving you countless hours of prep time. Find out how even the smallest kitchen can benefit with a food processor. Learn about the kinds of ice machines, ice types and other factors you should consider before purchasing a commercial ice machine for your business. These refrigerated beverage dispensers are perfect for convenience stores, kiosks, grocery stores, gas stations and much more! 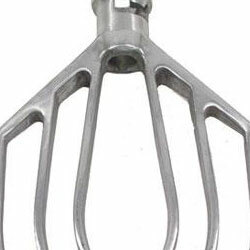 Learn the difference between bar and food blenders, and what you should consider before buying your next blender. Convection Ovens are quickly becoming popular cooking companions in commercial kitchens across the country. Find out why in this buying guide. Find out how to pick the best commercial meat slicer for your business, including the differences between light, medium and heavy duty slicers. From front of house to back, we’ll talk about all of your warming and holding considerations and types of equipment to buy. 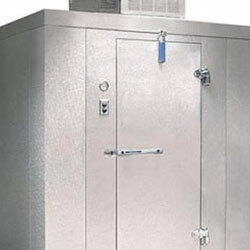 At the heart of every foodservice operation is the walk-in cooler. In this buying guide we’ll walk you through the components of a walk-in and what to look for when buying a new one. Sometimes referred to as door seals or gaskets, other times as that suction-thing-around-the-inside-of-the-door-of-my-refrigerator, if your refrigeration doors aren’t sealing right, this is the place to find out everything you need to know to get a tight seal. Whether you refer to them simply as wheels or by their most common name, heavy-duty casters are the little workhorses that help bring some much needed simplicity to the commercial kitchen. 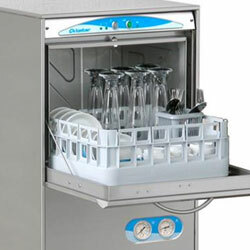 Read this buying guide on commercial kitchen water filters, including why you need water filters, what kitchen equipment uses them, and how easy they are to replace. Keep your walk-in cooler running for the long haul with the right parts. Hood filters are one of the best ways to prevent a fire and keeps your kitchen running efficiently. With a little elbow grease and a "do it yourself" mentality, you can save hundreds when you shop for, and replace, these common restaurant parts. Make the most out of your equipment with these helpful accessories. Being comfortable and stylish was never supposed to go together for the back of house staff, which is why most restaurateurs settled for comfort over style. But taboos were meant to be broken. From carpeted floor mats to anti-fatigue kitchen mats – these mats do more than just lay around. Did you know there is a reason why you would want round food storage containers in your restaurant, instead of square? From cooking thermometers to cold temp thermometers – having the right temperature tools in your kitchen will keep your business and customers safe. Read more about different types of kitchen scales like hanging, bench, and pizza scales to determine which one is best for your restaurant. Between wine glasses, cocktail glasses, tumblers, goblets and more—how do you choose? We'll cover the highlights of commercial glassware in this buying guide. Here’s your guide to the food safety supplies and equipment you need to ace your next health inspector visit and protect customers. Learn more about the types of chinaware for your restaurant, including stoneware, porcelain and other dinnerware. Your guide to learning about different types of commercial cutlery, including the construction, care and maintenance of your knives. Learn the differences between chrome-plated wire shelving, epoxy coated shelving and polymer shelving to find out which commercial shelving is best for your restaurant. Cleaning becomes a much easier job with the right janitorial supplies on hand. In this buying guide we'll cover what cleaning supplies will help make the job easier. From dispensers to hand dryers and everything in between, here is everything you need to set up the perfect restroom. 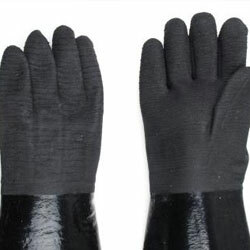 From food preparation to cleaning, here are the gloves you'll want to equip yourself with.